WORLDFOODS Thai Chilli Garlic Salad Dressing 4 tbsp. Bring water into the pot over medium heat until boil. Then add vinegar. Create a gentle whirlpool in the water to help the egg white wrap around the yolk. Then slowly tip the egg into the water, white first. Leave to cook for three minutes. Remove with a slotted spoon. Set aside. Heat olive oil in a pan over medium heat, add asparagus and stir-fry until cooked. Season with salt and black pepper. 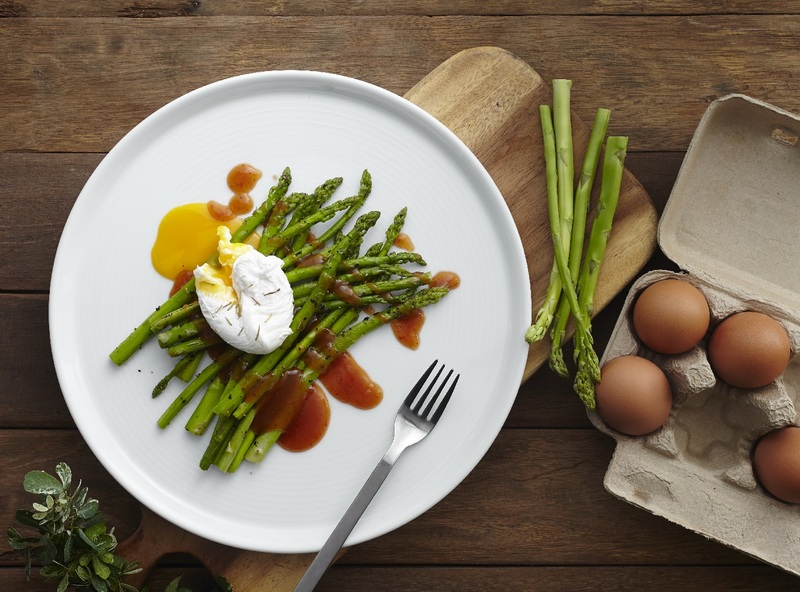 Place asparagus and poached egg into a plate, Pour WORLDFOODS Thai Chilli Garlic Salad Dressing before serve.